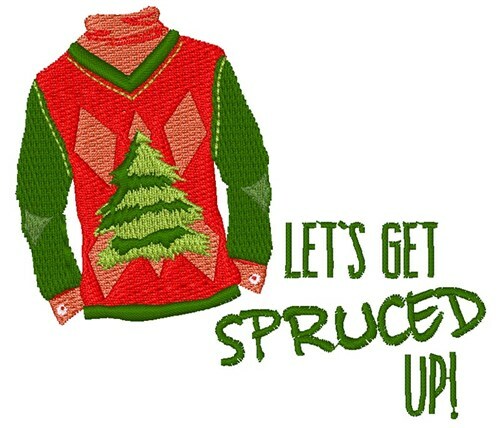 Add this ugly sweater to your ugly sweater to get some laughs this holiday season! Windmill Designs is happy to present Lets Get Spruced Up! machine embroidery design which has 10055 stitches and is [80.36 mm x 70.44 mm] large. If you would like to view more embroidery patterns please search on our embroidery designs page.